42W-60W Programmable Linear DC power in a quarter-rack package. Available in single, dual, triple and quad channel versions for benchtop use. For systems applications, multiple units can also be rack mounted in one to four unit configurations for up to four independent 60–watt outputs. 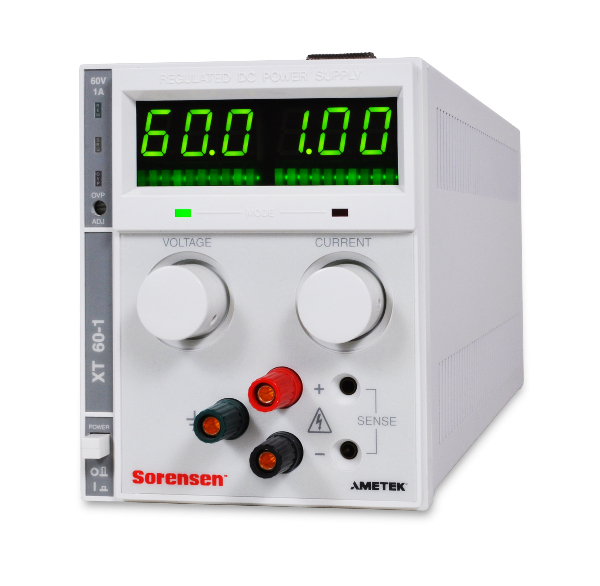 XT can also be combined in a rack with the 300–watt HPD or 500–watt XPD.